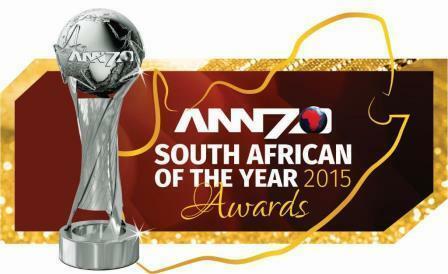 Africa News Network (ANN7) has announced the final list of nominees for the much anticipated ANN7 South African of the Year (SATY) Awards. The SATY Awards seek to celebrate extraordinary South Africans, who are making a difference in the lives of ordinary people. (1) AKA; (2) Cassper Nyovest; (3) Jonathan Boyton-Lee; (4) Nandi Mngoma; (5) Nomzamo Mbatha; (6) Terry Pheto; and (7) The Soil. To vote for Trendsetting Celebrity, SMS Celeb + [Nominee Number] to 43043 or email Celeb + [Nominee Number] to [email protected]. (1) Afreakan Dream; (2) Africa Against Ebola (MTN); (3) Crime Line; (4) Kagiso Shanduka Trust; (5) Ke Yona [Nedbank]; (6) MoFaya [DJ Sbu]; and (7) ProteaFire [Cricket SA]. To vote for Campaign of the Year, SMS Camp + [Nominee Number] to 43043 or email Camp + [Nominee Number] to [email protected]. (1) Creseldah Ndlovu [Mother Teresa of Bushbuckridge]; (2) Jordan vd Walt [Just One Bag Campaign]; (3) Lead SA; (4) Ntenga Foundation [Donate School shoes camapign]; (5) Sibusiso Leope Education Foundation [DJ Sbu]; (6) Dr Thandeka Mazibuko [Cancer awareness in Africa]; and (7) Vodacom e-school initiative. To vote for Spirit of Humanity, SMS Human + [Nominee Number] to 43043 or email Human + [Nominee Number] to [email protected]. (1) AB de Villiers [Cricket]; (2) Duane Vermeulen [Rugby]; (3) Gift Kelehe [Comrades]; (4) Janine van Wyk [Soccer]; (5) Schalk Burger [Rugby]; (6) Tefu Mashamaite [Soccer]; and (7) Teko Modise [Soccer]. To vote for Sportsperson of the Year, SMS Sports + [Nominee Number] to 43043 or email Sports + [Nominee Number] to [email protected]. (1) Christo Van Der Rheede; (2) Herman Mashaba; (3) Jabu Mabuza; (4) John Michael Judin; (5) Mervyn King; and (6) Shameel Joosub. To vote for Businessleader of the Year, SMS Bizs + [Nominee Number] to 43043 or email Bizs + [Nominee Number] to [email protected]. (1) Adri Kruger; (2) Gil Oved and Ran Neu-Ner [The Creative Council]; (3) Ismail Hassen [CSR-Africa]; (4) Marthie Jansen van Rensburg [Trans-Caledon Tunnel]; (5) Thabo Molefe [DJ Tbo Touch]; (6) Theresa Cupido [ATN Group]; and (7) Tommy Makhatho [Bibi Cash & Carry]. To vote for Entrepreneur of the Year, SMS Entr + [Nominee Number] to 43043 or email Entr + [Nominee Number] to [email protected]. (1) Foki Molemane [Tosman Entertainment Rockers]; (2) Kagiso Rabada [cricketer]; (3) Kgomotso Pooe [Soweto Outdoor Adventures]; (4) Malibongwe Xaba [One Young World Ambassador]; (5) Mbongeni Msomi [Carwash Supreme]; (6) Simon Molekwa [Life4U]; and (7) Vuyani Masuku [Park & Blue Pools Primary Co-op]. To vote for Young South African of the Year, SMS Young + [Nominee Number] to 43043 or email Young + [Nominee Number] to [email protected]. (1) Craig Spencer [Wildlife research and conservation]; (2) Div de Villiers [Green Scorpions]; (3) Fundisile Mketeni [CEO SA National Parks]; (4) Karen Trendler [founder, Wildcare Africa]; (5) Mark Boucher [SAB-Boucher Conservation]; (6) Sinegugu Zukulu [Endangered Wildlife Trust]; and (7) Yolan Friedmann [Global Cheetah Forum]. You can also click here to vote online for your favourite nominees across all nine categories. For more information on SATY 2015, click here. Alternatively, connect with them on Facebook or on Twitter with the #SATY2015 hashtag.